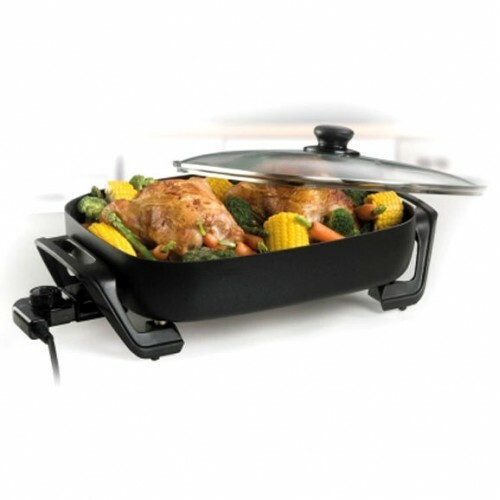 Cook more with the family sized Maxim Banquet Fry Pan. The Maxim Banquet Family Fry Pan has been designed to cook for parties, or the whole family. With it's super non stick cooking surface and large cooking area, you can make delicious meals for large groups of people in no time. 1850 watts of cooking power. Non-stick double coating for easy cleaning. Heat resistant carry handles and knobs. Unit measurements: 39cm x 30cm.